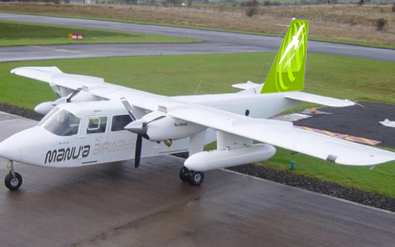 Manu'a Island's new airline providing direct Pago Pago-Ofu, Pago Pago-Tau, and Ofu-Tau islands air service utilizing comfortable 8 passenger BN2 islander, and versatile 19 passeger seat DHC-6 Twin Otter aircraft. Manu'a Airways is a project to promote the development and improvement of air transportation infrastructure, tourism and travel to and from the Manu'a Islands. Manu'a Airways is in the process of obtaining its own US Part 135 Commuter Air Carrier certificate in early 2016. Copyright ©2014-2018 Manu'a Airways, Inc.